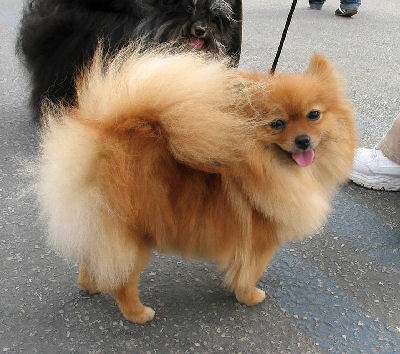 Typical example of toy breed considered to be too small to have to train. This will be a series of articles counting down the top 10 worst, and most common, mistakes that new dog owners make. Those who prefer small dogs tend to fall into this category of mistake. Just because a dog is under 10 lbs doesn’t mean it won’t require some training on your part to ensure proper behavior from a pup. Chihuahua’s are notoriously misbehaved for this very reason. Many folks that are looking to get a new puppy are, at least, aware of how much effort they are willing to put into their new dog. Many that opt for a small breed tend to think of the new addition as a fashion accessory(thanks Paris Hilton) and/or will require less training than other breeds due his/her size. The other mistake many new dog owners make is thinking that their dog is “cute” when it is doing something that will later turn into a problem behavior. It’s cute when a small 8 week old puppy is chewing on your fingers but when that puppy grows up and has learned that this type of behavior is ok, obviously it’s not so cute anymore. This type of mistake causes a lot of stress and negativity for both the dog and the owner. Being aware of why you are making a choice for a specific breed and being honest with yourself about how much work it will require will save a ton of pain in the long run. Training with a puppy should start the day the puppy comes through your door. No matter the size, or how cute the puppy may be, beginning right away will ensure a lot less headaches in the future.